BlackBerry has released a couple of devices in the last few months, including the odd-looking BlackBerry Passport, which is already available online, but in unlocked flavors. Recently, the company announced a redesigned version of the BlackBerry Passport which will be exclusively available from AT&T in the coming weeks. 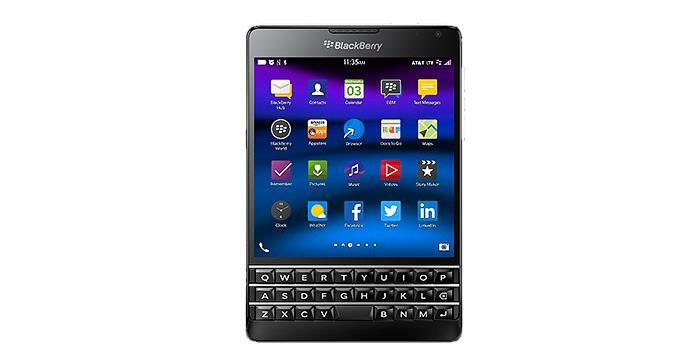 Rather than square corners, the redesigned BlackBerry Passport will feature rounded corners. It’s not a big change, but is visible as soon as you spot it. There are no changes as far as the internals are concerned, it’s the same device which launched a few months back. The smartphone will cost $199.99 on a two-year contract, and will also be available under AT&T’s Next installment plan for $0 down on an AT&T Next plan at $21.67 per month with AT&T Next 24, $27.09 with AT&T Next 18 or $32.50 per month with AT&T Next 12. For those of you who don’t want to enter a commitment will be asked to pay a hefty $649.99 outright. It’s not just the BlackBerry Passport, the carrier will also sell the BlackBerry Classic for $49.99 with a two-year agreement, or $419.99 off-contract. There’s no exact availability date available at the moment, but we’ll definitely let you know as soon as we find out.